Mole pest control covering all of London & surrounding areas including, the West, Harrow & Kingston, the East, Romford & Ilford, The South, Croydon & Bromley, the North Barnet, Watford & Redbridge, Essex, North Sussex, Surrey, Slough, Squirrel pest control in Reading and the Home counties. JG Environmental are a professional mole removal company, fully certified and accredited, you can expect satisfaction, fast turn around times, excellent flexibility and a smile at the end of it. Moles are woodland animals by nature, and can quickly colonize and if not handled effectively, they spread through adjoining residential properties or large areas of land such as golf courses for example. As they need a well-established tunnel network to survive, the longer they’re allowed to tunnel, the more settled they become. So the longer the moles have been active, the more complex their tunnel network and the more difficult they are to control. The common mole is an insectivore and not a rodent. Its diet is restricted to ground invertebrates such as grubs, millipedes, ants and so on. However, the mole’s primary food source is the earthworm. Moles will adapt to changes in food supply and source as different insects become available in different places and at different times of the year. Moles will jump ship and readily relocate back to other existing or deserted tunnels and they may leave an area if disturbed but will usually return when you least expect it. Moles frequently cause damage, by eating plant seeds, roots and bulbs but most damage is done when burrows expose plant roots to the air inside the tunnels and mole hills form. Generally moles are most active in spring and autumn as during winter and summer, they burrow deeper into the ground where they have an extensive underground systems including travel tunnels which are used daily. 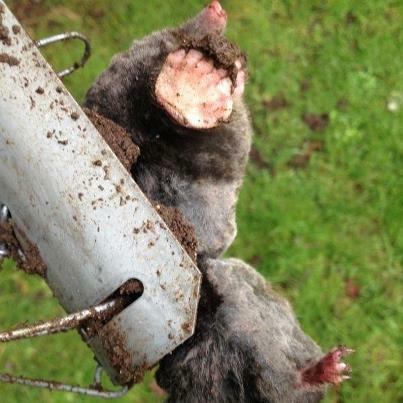 So, mole pest control– Our method of control uses specialist traps that physically catch and dispatch the moles instantly. For more problematic mole infestations we have the ability in house to apply gassing techniques. Our standard mole pest control treatment consists of trapping. On the day of your appointment, one of our expertly trained technicians will set the traps up and a follow up visit would then be arranged, this is usually between 1 & 3 days later- with extremely high success rates. As usual all our services come with a guarantee. Call JG Environmental Pest Control London & South today on 0207 183 8906 and have a technician with you within 24 hours- guaranteed! squirrel pest control, squirrel problem, squirrel extermination, squirrel removal.